A rare work attributed to Kalidasa. It provides an exhaustive list of the significators of houses and plants. It offers new avenues for the yoga Karakas for each Lagna and for the solar return Charts. There are remarkable guidelines regarding the major and minor periods of Saturn, Venus, Jupiter, Mars and the like. It is a precious work not to be missed. The text is based on PARASARA and JAIMINI and it is substantiated by the author's own experience. Demand of the growing readership of the astrologers all over the world is for critical and illustrated versions of book of astrology. Particularly the classics and their translations. Those who have the ability to appraise critically some of the classical concepts should produce their researchers but not attempt translations unless their knowledge of Sanskrit is sound enough. The real difficulties is with those who translate Sanskrit texts uncritically and do damage to the cause of astrology. It is left to great scholars like Dr. P. S. Sastry to show the way out this tangle and he does it with commendable case in this book in many way. First he establishes clearly that the Kalidas of this book, Uttarkalamrita is different from the great Kalidas of the Shakuntalam fame. The present author was a south Indian who came after the sixteenth century. In the chapter on longevity, Dr. Sastry is harsh on the author and proves him wrong in many places but it is easily the most educative chapter in the book as it contains some apt illustrations. Using of navamsas might have been better in some places. The horary part is totally unillustrated but is sufficiently lucid and clear for other astrologers to try the unique methods given. It is only Dr. Sastry who can say with confidence that child marriages etc had no social and scriptural sanction in Vedic times interpolations in Smritis was done to justify some wrong social practices. Scholarship of Sanskrit, of theoretical and practical aspects of astrology and the ability to produce a commentary with over one hundred illustrations can be done only by a master scholar of our times. Readers will benefit and feel grateful to Dr. Sastry for this book. Uttar Kalamrita is an important landmark in the history of Indian astrology. The text was first printed in the Telugu script and it was attributed to Kalidasa. But he is not the celebrated author of Raghu Vansa. Kumara Sambhava, Shakuntalam and other works. The reference to Andhra Bhasha (5.36), Urdu or Persian (5.53) Turushka (5.49), Sukkani (8.31), Rahu Kala (Second Kanda 29) and other things show that he came after the sixteenth century. His use of the words Udyoga (6.42) got job, mud-cleaning (Second Kanda 67-68), Smarta (Second Kanda 35), Nadi and Vinadi, Sarasa-sallapa (a peculiar Telugu expression, 5.43), Tyajya Kala (8.8) and other prove that he is south Indian. His opposition to the marriage with the daughter of the maternal uncle (Second kanda, 10-11)references to the usages in the South (12 in the Second) and the Karnataka and Tamil Nadu. The Ratha Saptami day should have the Constellation Anuradha (Kanda 2.44) shows his bad bad acquaintance with astronomy. His views on the direction of the well (8.33), upanayana and other things contradict the earlier Kalamrita. The third chapter is a little unacceptable as it violates many accepted principles. There are many self-contradictory ideas. These views have been examined on our notes. At places the author appears to reject the authority of Manu and Apastamba. Some of the problems covered in the earlier Kalamrita appear in this work. Evidently this author did not write that Kalamrita. These and other factors convince us that the author belongs to a time after the 16th or the 17th century. There is a Shankara Vijaya attributed to Madhava Vidyaranya. But the next clearly states that the author was condensing the work of Vyasachala (17th century) and that he was called Abhinava Kalidasa. Possibly the author of Uttarakalamrita is the same one or a person like him. (1) He gives a method of finding the past, present and future births. This is different from the one giver by Varahamihira and others. (2) There are special kinds of Raja Yogas and their bhanga (destruction). Particular mention is to be made of Viparita Raja Yoga. (3) The annual solar return chart is interpreted and examined in a manner that differs from the Tajika method. This is very original. It is simple and interesting. (4) There is an elaborate account of Rahu and Ketu. (5) The way of interpreting retrograde planets in their exaltation and debilitation is of much value. (6) The mutual periods of Shani and Shukra, Guru and Shukra and the like of much value. (7) Muhurta and nimitta discussed in the eighth chapter is worth studying. (8) The first part of the second kanda deals with religious and other rites. This part we have separated into one chapter. (9) Guru and Shani are taken as co-workers. Owning the last four signs these are the philosophical planets. Though the rule happiness and misery, they must have a benefic mutual relation. 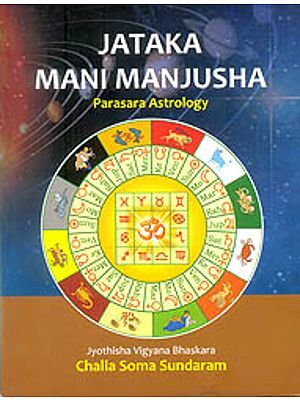 (10) Jaimini's system of astrology is simplified. (11) Horary astrology and the way of treating the lost or unknown dates of birth are explained. These are not simple copying from earlier works. In short, Uttara Kalamrita is a good compendium, a standard text based on experience, and a treasure house. We have given 116 charts to illustrate. 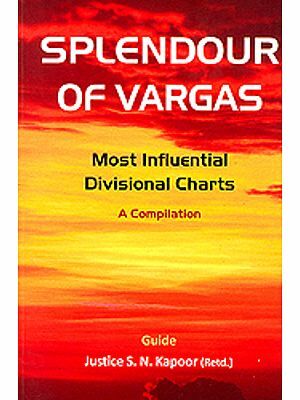 The author is a South Indian, and a devotes of the great Mother Goddess, Para Shakti, Maha Tripura Sundari. He belongs to late 17th or early 18th century. M/s Ranjan Publications deserves our praise for bringing out this text into English. The illustrative example given by us are only indications intended to stimulate further research. The present translator and commentator is deeply indebted to M/s Ranjan Publications. 29-31. Mutual periods of Shukra and Shani 157-159.